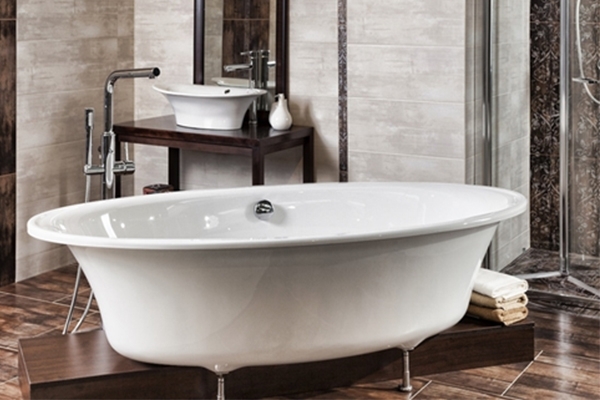 Resurfacing Vs Replacing your Bathtub | The Resurfacing Doctor, Inc. Trying to choose whether to resurface or replace your bathtub? Not every bathtub can be resurfaced. Some will have to end up in the landfills while others can be refinished. Bathtub replacement is expensive and messy. We will discuss the pros and cons of replacing or resurfacing your bathtub below. Older bathtubs are not the same size as the new ones made today. That poses a problem in trying to get the tub to fit into the exact same spot as the old tub. 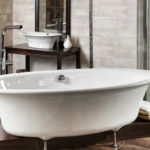 New bathtubs may be bought for less than $300, but the total price for complete replacement may run up to $4000 or more. Walls have to be demolished and tiles may have to be replaced. In addition, a plumber, a tile setter and perhaps an electrician will be needed in order to put the fixtures back together. Another problem with tub replacement is that the old tub, tiles and walls end up in the landfills. Bathtub resurfacing saves time because it is completed in a day and the tub can be used 24 hours or 48 hours later depending on the coating used. The whole bathtub restoration process is done in the bathroom and there is no trip to the landfills. Most people wouldn’t even consider resurfacing their bathtub, why bother when you can just replace it for a newer, neater model? If your goal is to add water jets and upgrade to a more Jacuzzi setting then replacement is your only option (if you currently have a standard tub). You may also need to install a bathtub with handicap features, such as built-in safety steps or a handrail. This will prevent slips and falls, especially for the elder loved ones. If you just want your tub to look nice again with a new face lift, resurfacing it can be cheaper and easier in the long run. Why? 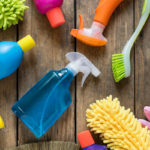 Don’t forget that replacement often requires full demolition of that area of the bathroom which can mean repairing walls, removing the toilet, sink with cabinet and replacing plumbing parts. Not to mention putting in new surrounds and often tiling. Starting to sound like a bigger job than you thought? Not surprising. That tub may only cost you a few hundred but the full demolition will kick you out of the bathroom during the renovations and will undoubtedly add hundreds more to the final bill. Ouch! Going green for a better tomorrow. Resurfacing is definitely the better choice over replacement when considering both the impact on the environment, your time and budget. If you are unable to go with refinishing at this time, please consider other ways of recycling your old tubs so as to keep it out of the landfills.